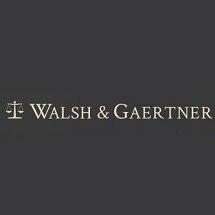 At the law firm of Walsh & Gaertner in St. Paul, Minnesota, we credit our success as personal injury attorneys to our experience, personal attention for clients and preparedness for negotiations and trial. We have successfully represented over 10,000 clients. We insist on individual attention and take the time to get to know each client, whether from St. Paul or anywhere in the Twin Cities metro area. Our attorneys listen to his or her story at the free initial consultation and put our experience to work for him or her right away. We also prepare our clients by using our mock courtroom located in our building. We put people at ease because you know what will come next if your case goes to trial. We've been doing this for a long time which means we know the doctors and legal strategies necessary to work for the best compensation for your injuries. Our experience has taught us what cases are worth and that helping clients find the right doctors can help them to heal and move forward to improve or restore their quality of life after an injury. This is not merely a slogan at Walsh & Gaertner. Our sincere, caring approach guides every personal injury case we take on. Our reputation often prompts other attorneys to refer their own clients to us when they have been injured or lost a loved one due to negligence. Our record of successful verdicts is a testament to our preparedness and drive to do the best for every client we represent.